It has been a while since we covered about Hero range of bikes on our blog. Karizma is a pretty established brand from Hero MotoCorp. 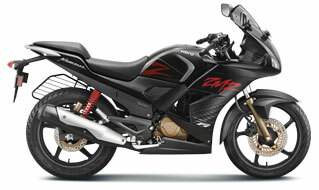 Today we are going to share details on Hero’s one of the powerful bikes – Karizma ZMR. The looks and performance of the Hero Karizma ZMR complements each other. 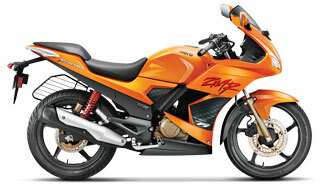 Hero Karizma ZMR gets a programmed Fi Engine with oil cooler. 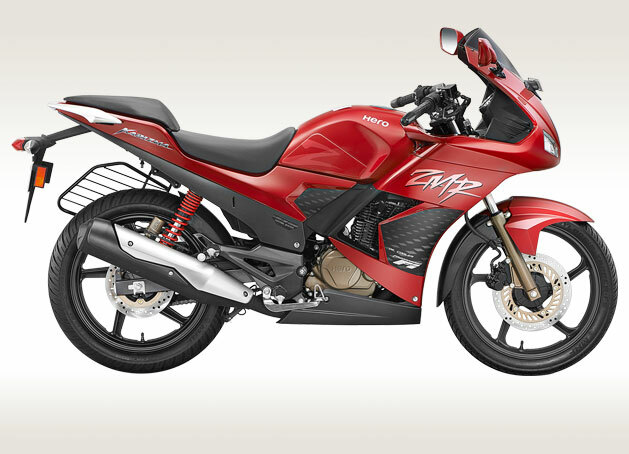 This programmed Fi engine of Karizma ZMR is made of 16-bit ECU processor which scans the engine environment with its hi-tech sensors and delivers enhanced performance. When it comes to technical specifications, Karizma ZMR gets the air cooled, 4- stroke single cylinder OHC, Fuel Injection, Oil Cooler engine. With an engine capacity of 223cc, the bike manages to deliver a whooping 14.9 kW (20 BHP) @ 8000 rpm with a peak torque of 19.7 N m @ 6500 rpm. 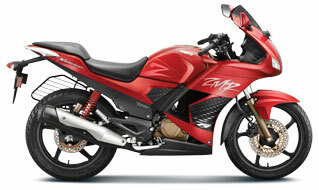 The maximum speed Karizma ZMR can attain is 129 kmph. The engine of bike is mated to a 5-speed manual gearbox. Talking about the suspension of the bike, ZMR gets telescopic hydraulic shock absorbers in the front and gets Swing Arm type suspension with 5-Step Adjustable GRS System in the rear. The bike gets disc brake in the front, and tubeless tyres for both rear and front. The fuel tank capacity of Hero Karizma ZMR is 15.3 litres and the overall Kerb weight of Karizma ZMR is 157 kgs. With these features, Hero Karizma ZMR truly stands out and becomes a very good performance bike in its class. 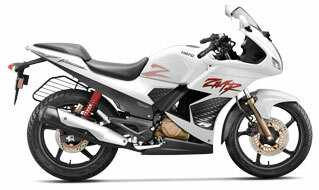 We look forward to test drive Karizma and review the bike for you the readers. Do let us know your opinion of Hero Karizma ZMR by commenting below in the comment section.